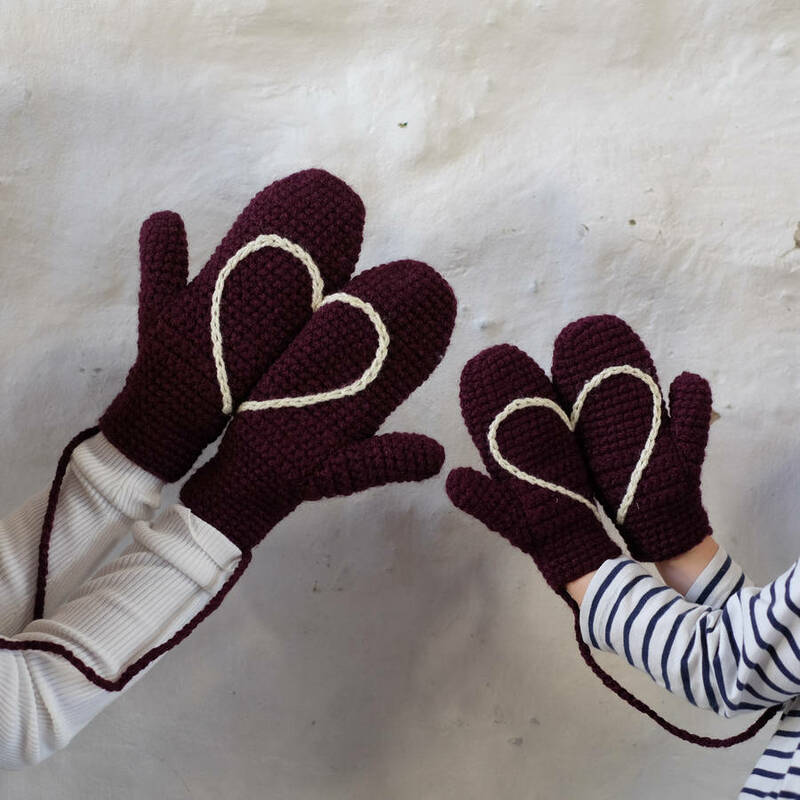 The hidden message mittens are a perfect pair of cosy handmade mittens, this set for Daddy and Little one are adorable. 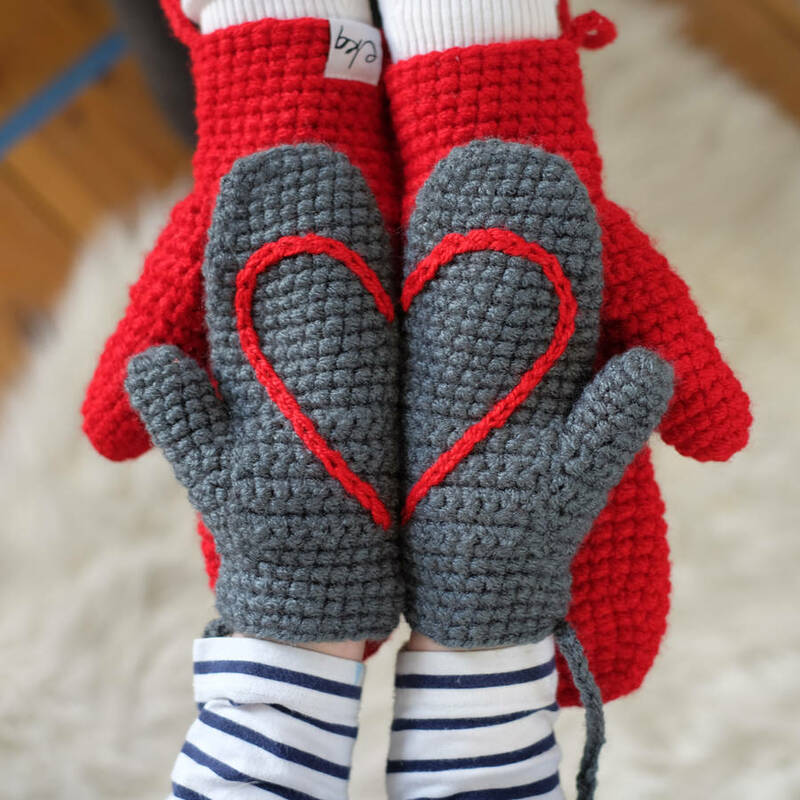 Handmade just for you. 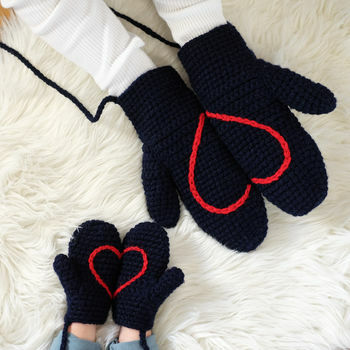 This set is a lovely gift for a father and child, there are also sizes available for Mummy and children aged 4-8yrs too. 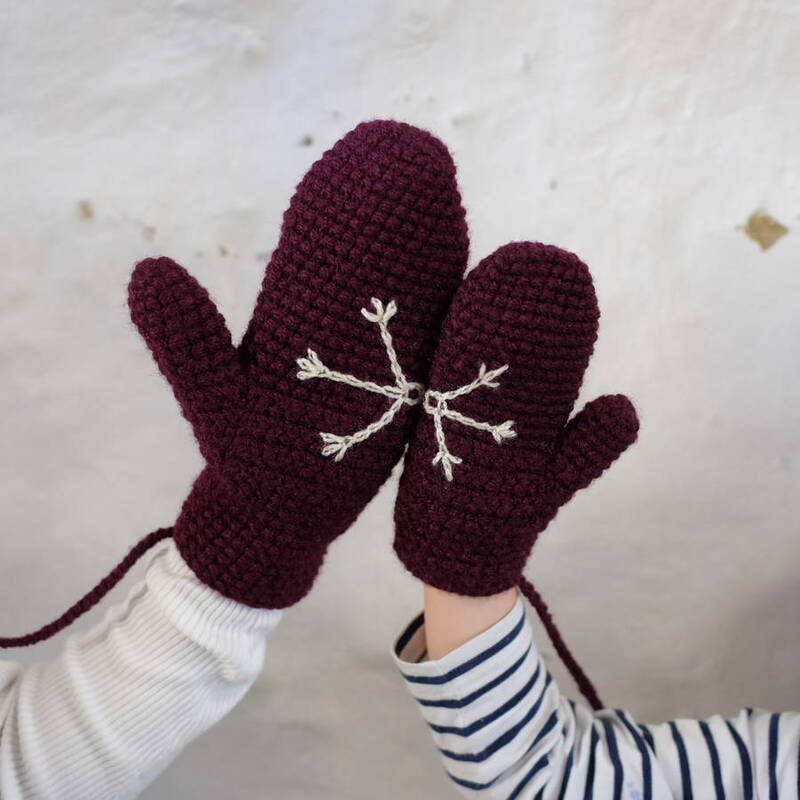 They seem like any ordinary pair of mittens until you show people the heart or snowflake in the palm of your hands or the little smiley faces on the thumbs which will put a smile on any sad face you come across. 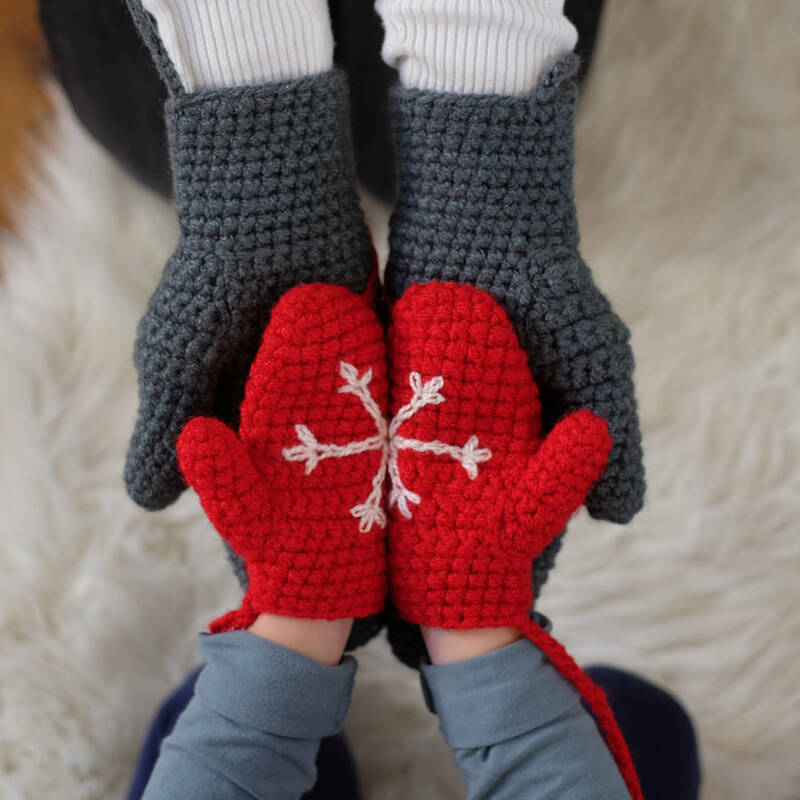 Mix and match your set or choose the same design and display the design when you hold your hand together with daddy's. 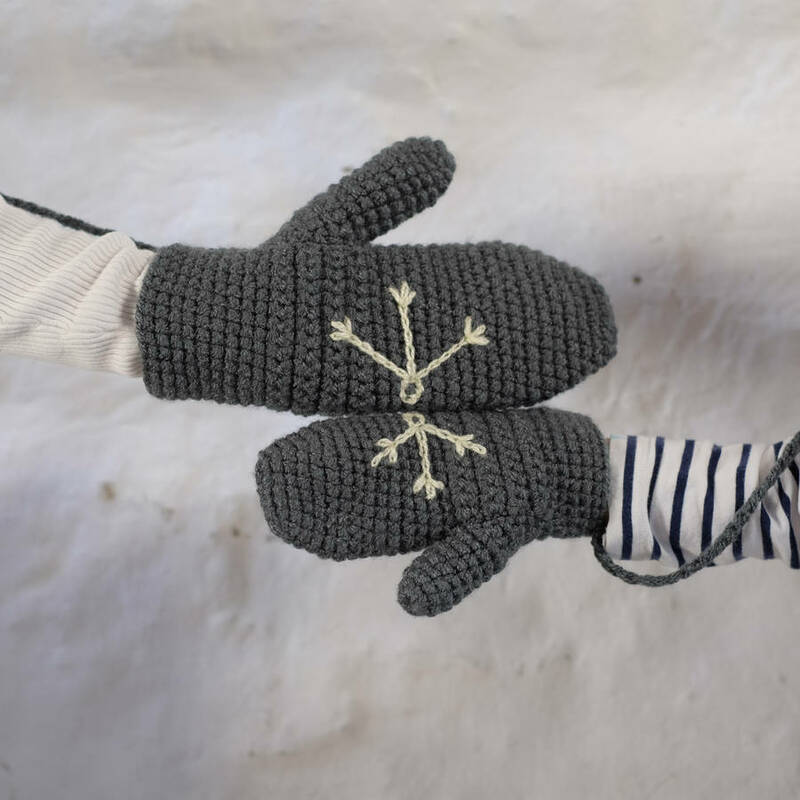 Each pair of mittens comes with a string joining them to thread through the sleeves of a jacket so they never get lost. 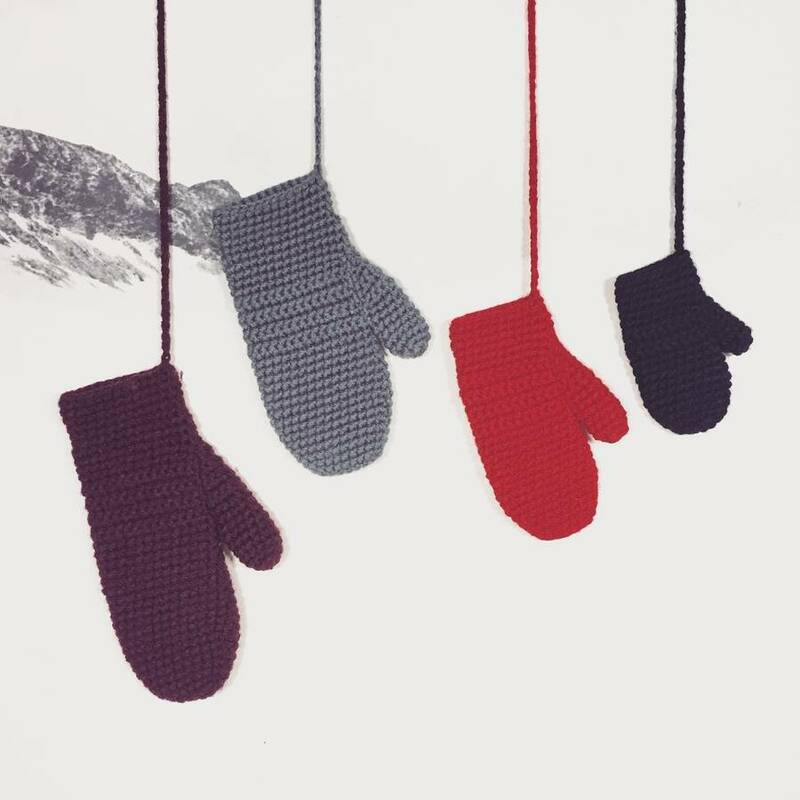 Available in 4 sizes, 4 colours and 3 designs. 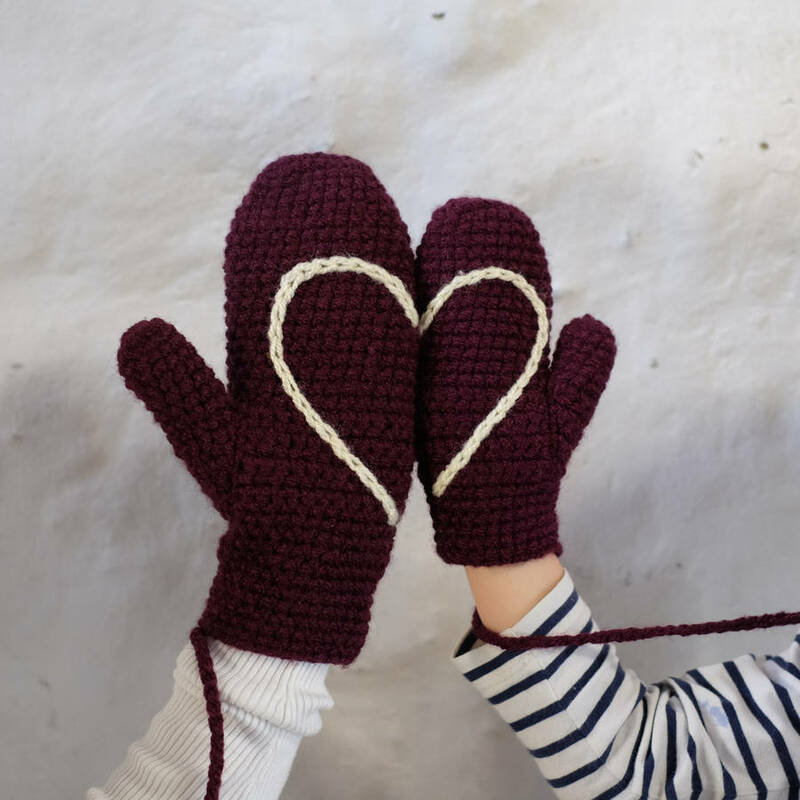 100% vegan acrylic yarn, these mittens are handmade so please allow for slight variations between pairs if buying a few. 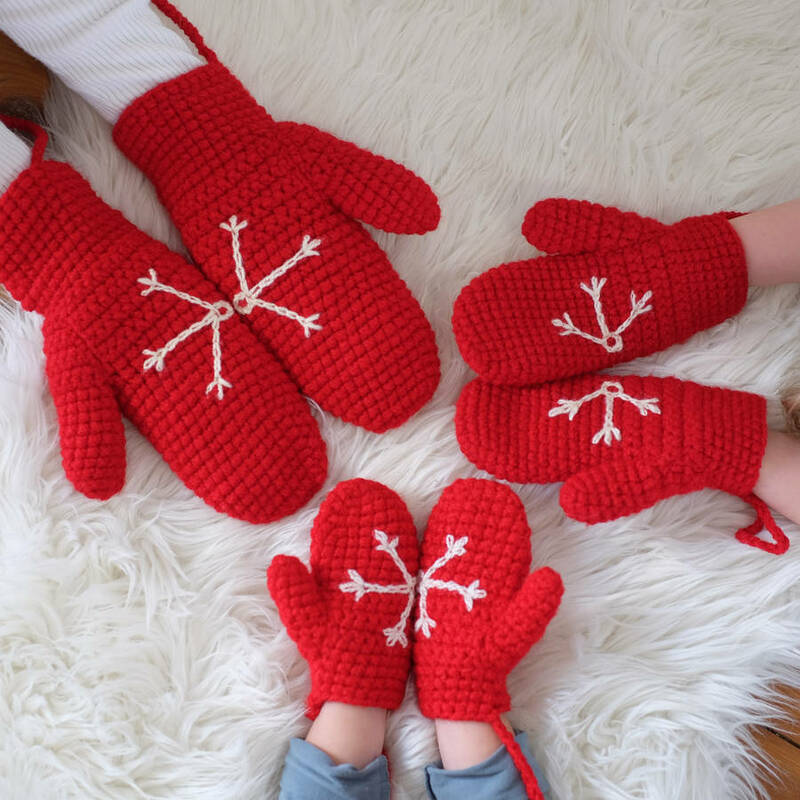 Made using acrylic yarn and can be washed in your machine or by hand then dried on a flat surface. 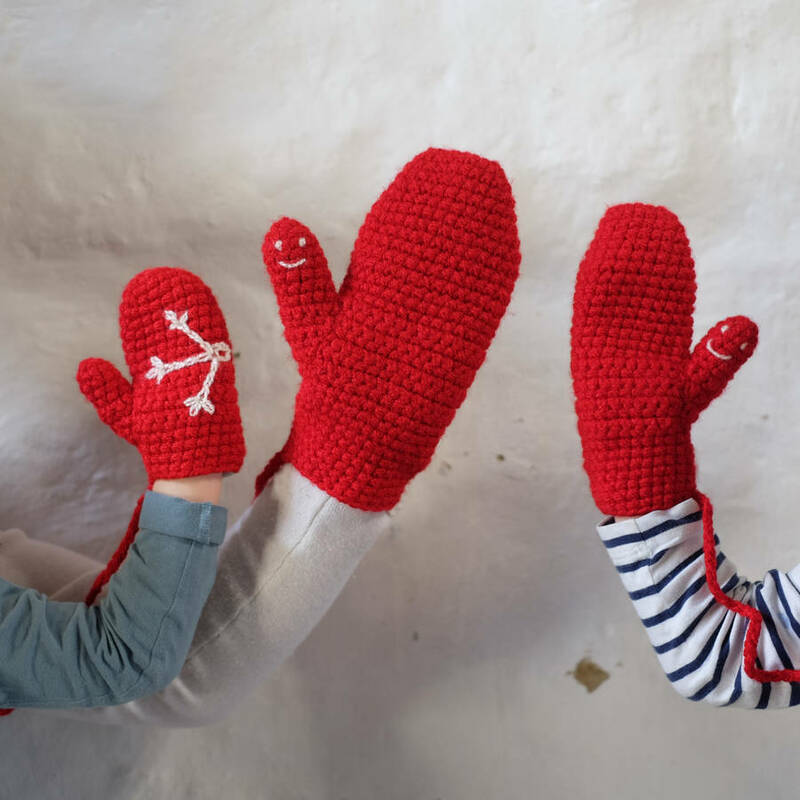 Small (suggested size 6-18months) - 13cm full length including cuff, 6.5cm across the fingers, 3cm long thumb. 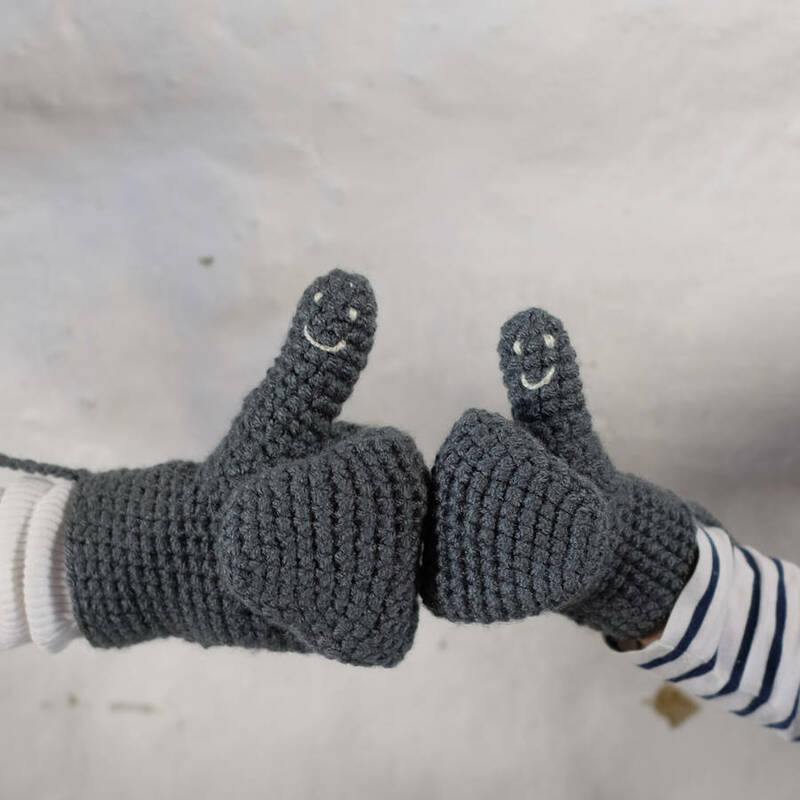 Medium -(suggested size for 4yrs-8yrs) 18cm long including cuff, 7cm across the fingers, 4cm long thumb. Large - 'Mummy sized'(suggested size from 10yrs - adult) - 22cm full length including cuff, 9cm across fingers, 6cm long thumb. XLarge 'Daddy Sized' - 27cm full length including cuff, 11cm accross fingers, 7cm long thumb.